Hey guys! Haven't posted here in ages! I'm working on a project at school. 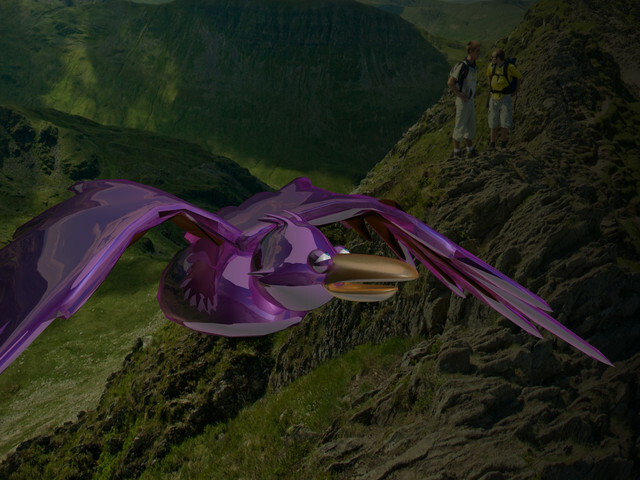 We're a group of students making a short video-series and i was tasked to make a 90s-style cgi bird. Good luck! Animation on the bird looks good, though a bit stiff. I think I'd freak out a lot more than those two guys if I saw something like that!